I was driving home this evening after watching the fireworks when I saw an interesting sign. See, this weekend is our town’s annual Pioneer Days, a celebration of our heritage as one of the true pioneering towns in the west. I mean, The West. There is a parade down the old main street, a midway with lots of rides guaranteed to make the greatest number of kids sick in the shortest period of time, a fiddling contest, a quilting demonstration, a golf tournament, yada yada yada. You get the idea. And of course, on Saturday night, there are fireworks. The kids and I go every year but this time I met them as their mother drove them down to the field next to the airport. They are in their pre-teen and early teen years and the umbilical cord is starting to stretch away from Dad. We enjoyed the fireworks and they went home with their Mom while I headed back to my comfortable chair to watch a taped game from the European soccer championships. On the way back I saw the sign. It was a sign at one of the number of car dealerships along the new main road (as opposed to parade route) and it was touting the newest cars for sale. But instead of advertising their price and financing deals, it was advertising the car’s mileage. I’ve heard of numerous companies across North America doing this; advertising their cars based on their mileage, a necessary sales tactic when the price of oil is setting new records every other day. So the fact that this sales pitch is being used here is no big deal. What is interesting is that the sign contained the (very large) letters,”MPG”. As everyone knows, mpg stands for Miles Per Gallon, a measure of how far the car will go on a gallon of gas. The higher the mpg, the less often a driver will have to buy gas and, consequently, the more money they will save in the long run. But that’s still not the interesting part. No, the interesting part is that the sign read MPG when it should rightfully have used the term, “liters per hundred kilometers”. That’s because we’re metric. Back in the 1980’s, our Prime Minister (who is our equivalent of the American President) decided that Canada should join the rest of the world and switch from the imperial measurement system (which was a holdover of our days as a British colony) to the more modern metric system. Yes indeed, to join the 20th century we were going to bury ourselves in a system that worships the number 10. Truth be told, it is a pretty good system and a logical one to use, once you understand how it works. I won’t get into the nuts and bolts of the metric system but suffice to say, you would think that after 30 years of using a federally mandated measurement system, everyone would think in metric by now. But we don’t. At least, not completely. As a people, we Canadians have taken the buffet approach to the metric vs. imperial question. We will tell someone we were driving at 100 kilometers per hour for the entire 155 miles of the trip. Or that after our latest workout, we weigh 139 pounds and we kept hydrated by using a 450 milliliter water bottle. Or that it’s really hot outside at 32 degrees, exactly the same as it is today in Cairo, Egypt, where their temperature is 90. 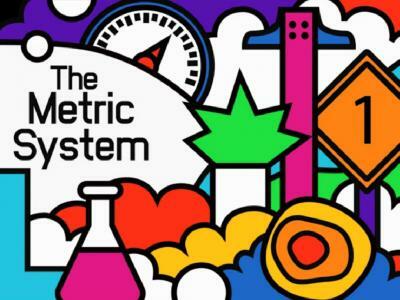 There was a hue and cry across the land when the federal government legislated the change to the metric system. Editorials cried that we were being manhandled by a dictatorial government, that our rights to preserve our traditions were being trampled, blah blah blah. On and on it went. You’d have thought we were being asked to hand over our first born to work in the coal mines. In the end, we never did make a compete conversion to the metric system because we did what we Canadians traditionally do; we compromised. We use the Celsius temperature system because it makes sense in a country where the freezing point of water means the end of nice weather and the start of winter. we use metric for highway speeds because the speed limit is written on the signs and we don’t want to get a speeding ticket. But we use miles to explain distances because, well, because that’s what we did before and we still prefer it today. And I would imagine that this state of affairs will last for many years to come. Or at least until my grandchild asks me what a pound is because, after all, doesn’t butter come in kilograms?